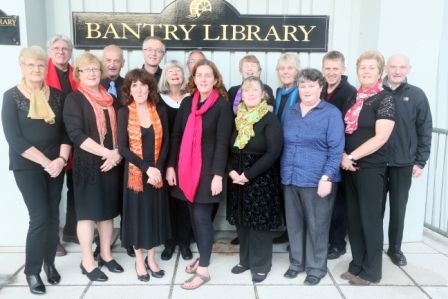 Bantry Library is delighted to host Bantry Community Choir on September 21st for an evening’s music in celebration of Culture Night 2018. Founded in 2013 Bantry Community Choir work in close partnership with West Cork Development Partnership and West Cork Mental Health Services. Members share a belief in the benefits of music and singing to positive mental health and well-being for all. Come along and join in for a night of music from the Beatles to Mozart via traditional music and more – there’s something for everyone.